Michael Jackson’s children, Paris, Prince Michael and Blanket are set to make their first public appearance since his death, in an interview with Oprah to be broadcast in the US tonight. 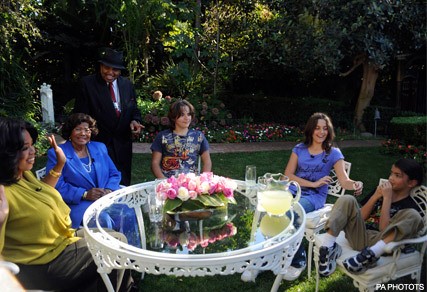 The famous chat show host was allowed rare access to the Jackson family’s ranch in Encino California, and spent time chatting to both the children, and Michael’s parents, Joe and Katherine. ‘One day he just made up his mind and he just left. When I enquired about where he was, he had gone down to get his nose done. The interview then moved on to Michael’s children, who, despite their bizarre upbringing, seemed incredibly happy and grounded. ‘He tried to raise us without [us] knowing who he was, but that didn’t go so well.’ Paris told Oprah of her father, later adding: ‘I kinda felt like no one understands what a good father he was,’ Paris said. ‘I’d say he was the best cook ever. He was just a normal dad, except he was the best dad. The children also revealed their acting ambitions, with Paris hoping to take to the stage, while Prince Michael adding he would like to be a film director. 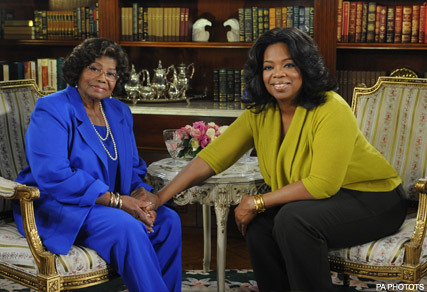 What are your thoughts on the Oprah interview? Let us know in the box below.